We believe that different modalities of healing are essential to the overall well being of anyone, and our belief is that your well-being includes mind, body, and soul. So with this belief we decided to encourage all types of healing practitioners to use our Ojai space as a center to do their good work from. Our external practitioners who rent space from us are listed on our calender page monthly. You can see which classes and what types of events are available. Below is a short list of the types healers we work with. 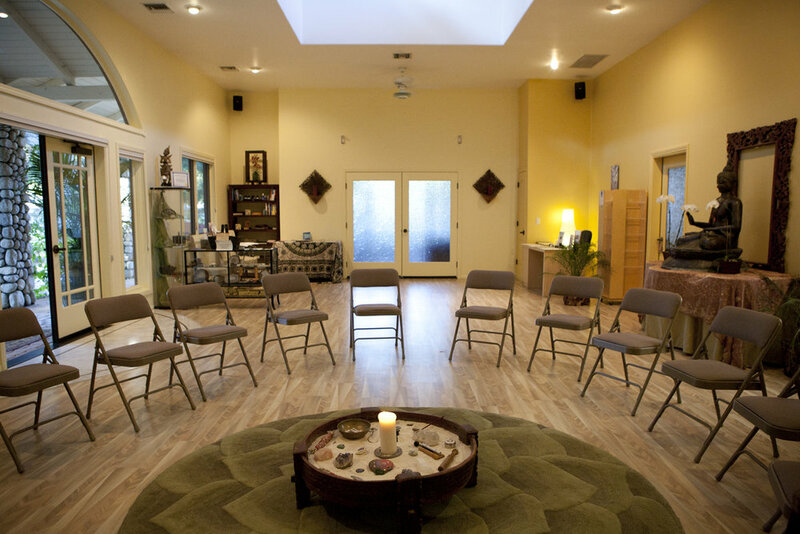 Our group classes are held at our beautiful center in Ojai California. There are several ways to compliment your holistic energy healing practices, such as community guided mediation and healing classes or our monthly gong immersion evening, because it is our mission to empower people, and we are delighted to offer a space for other practitioners to conduct their workshops/talks/gatherings. Introductory talks are a great way to learn about the theories and practices of energy healing. These are offered to groups at your own location or at our Healing Center in Ojai, CA. This one day workshop is a great way to dip your toes into the world of energy healing. This 2 day workshop is designed for those who have attended Module 1, 2, as a minimum or are experience practitioners in other modalities. Some of the classes listed below are taught/lead by Healing in America and some are taught by individual practitioners who rent space from us. Collectively, the Healing in America Centre has become a hub for healers and those looking for healing. We support our community in any way we can, and we hope that you will find the type of class you are looking for.